Have you ever wondered how to import a clean or original JDM car from Japan? Do you dream of sitting behind the wheel of an unspoiled Nissan 180sx? Nissan PS13 or Nissan Sil80? Do you want the kudos of showing up at your next meet in a car that has never been seen in your country before? If you answer ‘yes’ to any of the above then read on to see exactly how you can import your own JDM car with all the steps and costs broken down along the way. This is a guide for importing a Nissan JDM 180sx, PS13 or Sil80 directly from Japan. The guide was written by Samoht, thanks for sharing. I recently imported a 1994 180SX from auction in Japan. When I began the process, I couldn’t find anywhere with a comprehensive overall guide, explaining the whole process from start to end. Now I’ve got the car on the road, I thought I’d write one, to give an idea what is involved, and hopefully help anyone doing it to avoid unnecessary delays and frustration. Looking for your first JDM car to import? Drifted’s 11 Best JDM Cars Of The Nineties article should point you in the right direction. Getting started in drifting? Try their 9 Best Drift Cars For Beginners article. * Auction house: Produces report sheets and grades vehicles. * Exporter in Japan: Publishes report sheets on web. Provides customers with estimated guide prices, and assists with explanation of auction report sheets. Accepts bids from customers, inspects vehicles at auction, and if in satisfactory condition, bids up to the customer’s maximum bid. where successful, purchases car and arranges for it to be shipped to the UK. * Shipping company: Transports car from port in Japan to port in UK. Collects shipping cost from customer (as bankers draft) when they collect their car from the UK port. * HMRC (Customs): Charges just under 30% of shipped cost of the car as import tax and VAT. Issues form 386 to customer to show that tax has been paid. * DVLA: Provides registration application form V55. On receipt of all required documents showing car has been legally imported from Japan, taxes paid, and MOT’d, issues registration certificate. Charges £50 plus the cost of first year road tax (£180) for this. 11-Oct	Place first bid at mid-point of estimated range. Does not reach reserve. 15-Oct	Place two more bids, one at top of estimated range. 16-Oct	One car was rusty, so the agent did not bid. The other car was won, at £100 above my bid. 26-Dec Ship arrives in Southampton. Port is closed for Christmas. 27-Dec Ring around and arrange insurance. 28-Dec I arrive in Southampton by train, and leave in my new car. 23-Jan	Car passes MOT with no issues. 18-Feb Receive Registration Certificate from DVLA. Obtain numberplates from Halfords. Take car out for a drive with girlfriend. 28-Feb	Receive V5 from DVLA. Total time taken: 4 months, 18 days. I lost 18 days due to the document issue, which I could have saved had I known at the start which documents I required for registration. I spent 26 days getting the car ready for MOT, because I wanted to do it myself, was doing it in my spare time, and am no expert. If you arranged in advance to take the car straight from the port to a garage to prepare and MOT it, you could probably avoid most of this delay. Note that this does not include Insurance, new battery, new tyres, foglight switch, tools to wire up the above, the metal steering bush and fitting, train to Southampton and petrol back, postage to DVLA, the endless modifications that I will undoubtedly embark upon as an SXOC member, or the unlimited speeding fines that I will probably rack up as a result. 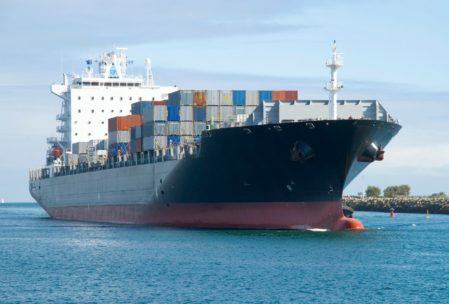 1) It’s worth googling your chosen exporter and customs agent before committing any funds, to become aware of any other customers who have had previous good or bad experiences. Choosing large, established companies obviously reduces your risk. 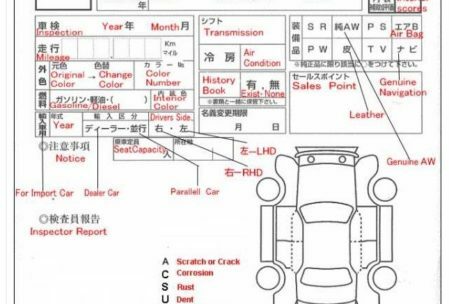 2) The auction reports consist of an overall grade, interior and exterior grades, a diagram showing the location of any bodywork imperfections, and miscellaneous notes describing the overall condition of the car and any modifications. You will also receive two low resolution photographs. All of the above is in a nearly incomprehensible form of abbreviated trade Japanese. Fortunately there are guides online to help you, and your exporter should be able to assist; however, if you know a little Japanese, this will be an advantage. 3) You can request form V55 from the DVLA website as soon as you have bought your car. The sooner you get it, the more chance you have of avoiding delays. 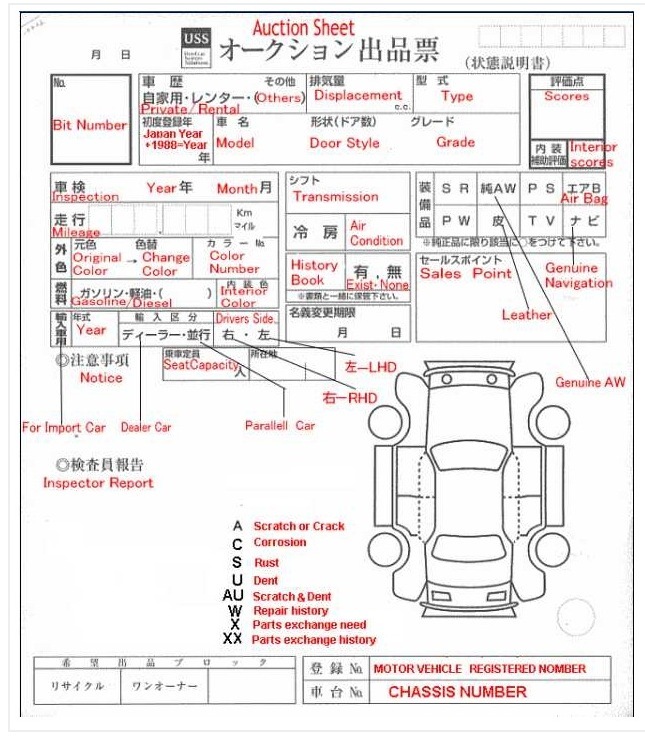 You should receive the Japanese de-registration form from your exporter once the car is shipped. You should receive the customs form 386 within 1-4 weeks of the car clearing customs (around the landing date). 4) Cars over 10 years old can be registered after passing an MOT. You should only need to fit a rear foglight for this, although you will need to fix any roadworthyness issues, obviously, and the DVLA may require you to show you have converted your speedometer to miles per hour before you can register it. 5) The whole process is a bit time-consuming, but is not really difficult, and you can do it without taking time off work. My shipping line would hold the car on arrival for up to five days without charging, so you would always be able to wait and go down on a weekend. You can do the registration by post, albeit at the cost of a few days’ extra wait. If you know what you’re doing, it should be fairly straightforward. Do you want to get behind the wheel of your own 180sx? Head on over to smartdrivinggames.com and drive a JDM icon on one of their driving games right now. I now have a low-mileage (about 35k) grade 4 S13, with a very clean chassis and interior, and an original-fitment SR20DET motor. However, I have paid the equivalent of £4750 for a stock, fourteen year old car, and it still probably needs a few more rubber bits replacing. If you want the best possible S13, you probably want to import one. However, with a bit of patience you could find a not-bad UK car for half that, and have money left for fixing-up and modifying. Or you could find a good S14 for the same or less money, which would also have an SR20 and probably be pretty solid. PS: I went with Autospecs (aka JapaneseUsedCars.com) as my exporter, and Kleerfreight (aka Rob) as my Customs agent. Both were communicative, helpful and professional, and I would recommend both without hesitation. I’m happy to answer any questions anyone may have about importing; equally, if anyone has any corrections or further information to add, that would be cool. I’ve only covered one possible method of importing (from auction), there are others, but I can’t really comment. The above is entirely based on my own experience importing a single car; other people may have had different experiences.